Samsung’s NX200 is the electronic ‘giant’s’ latest flagship mirrorless camera; and one which they hope will be taken seriously as a photographic tool for beginners in order to compete against the likes of well-established brands such as: Olympus, Panasonic, Pentax, Sony, and Nikon (all of whom have many more years experience as camera manufacturers). 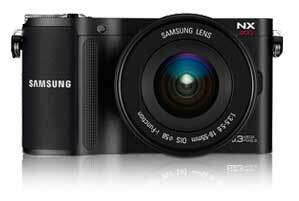 The NX200 has a 1.5x APS-C-sized sensor. 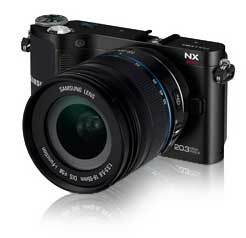 The only other mirrorless cameras to feature sensors that big are Sony’s NEX range. Panasonic and Olympus both have a 2x crop sensor and Nikon opted for an even smaller 2.7 crop. At 20.3MP, the NX200 also has the 2nd highest megapixel count for a mirrorless camera. Only Sony’s range-topper (NEX7) has more (with 24MP). At the moment, Samsung’s sensor is in fact one of highest resolution cameras on the market; regularly out-resolving many pro-level DSLR’s. On paper then: Samsung’s 2nd generation flagship mirrorless camera looks good. Due to the fact that Samsung are an electronics giant who manufacture everything from high definition TV’s, to cellphones, they are not strangers to making graphic user interfaces. The NX200 is no exception to that. Simply put: it has the most attractive graphics in a user interface that I’ve yet seen in a camera and it is also easy enough to use. The menu system looks more like that of a smart phone than a camera. Beginners should grasp it quickly. Unlike many mirrorless cameras which I have recently tested, the NX200 has a hotshoe mount for the connecting of speedlight flashes. The downside of this is that there is no built in/pop-up flash in the body (although a flash unit does come standard when you purchase the camera with kit lens, so it will not have to be purchased separately). Setting up the camera is easy enough to do with its easy-to-read menu system. This means that getting up and running doesn’t take much time at all. 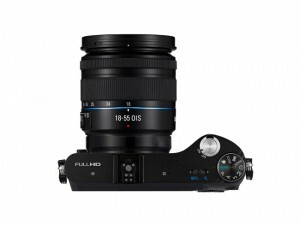 Autofocus is fast and accurate and can be switched off for precision work in manual focus mode. One of the few problems that I had with the camera had to do with flash syncing. Even though it has a hotshoe mount, it only recognises original Samsung flashes. If any other flash or wireless trigger is connected, it does not read it; and therefore does not activate the hotshoe mount, making it very difficult to use an off-camera flash. Strangely, it did recognise Elinchrome’s Skyport triggers, but it did not recpgnise anything else that we tried. The kit lens is quite sharp. It is not quite tack sharp, but is better than I expected (though only when shooting in JPEG). The processing applied to the JPEGs must be quite high as shooting in RAW has an alarming amount of chromatic aberration; the most I’ve ever seen in a modern digital camera. I wouldn’t suggest shooting in RAW unless you are prepared to spend a substantial amount of time post-processing in order to get the most out of the images. Speaking of the lenses; and as mentioned earlier, I was somewhat let down by their build quality. They are not bad by any means, but they do not match up to the solid feel of the body. The Samsung’s lenses are not comparable to their competition. 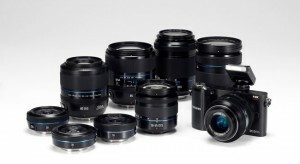 For example: the build of Sony’s NEX range of lenses is more solid; with smoother zoom- and focus-rings. High ISO noise quality on the NX200 is decent. It is not quite great, but is better than that of other cameras of its type which I have recently tested. I get the feeling that – had Samsung used a lower resolution sensor instead of the massive 20.3 megapixel count sensor – the camera might have been better equipped to create images that would be better at higher ISO’s.